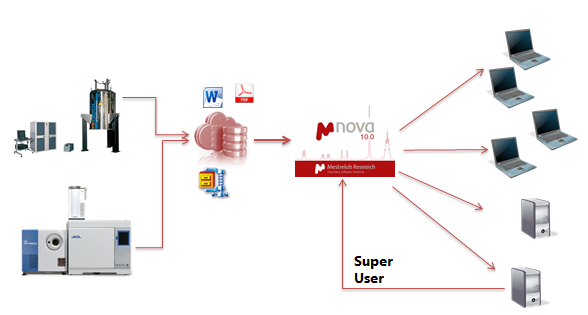 Mnova software allows you multiple types of automation tools to process, analyze, report and store your analytical data. 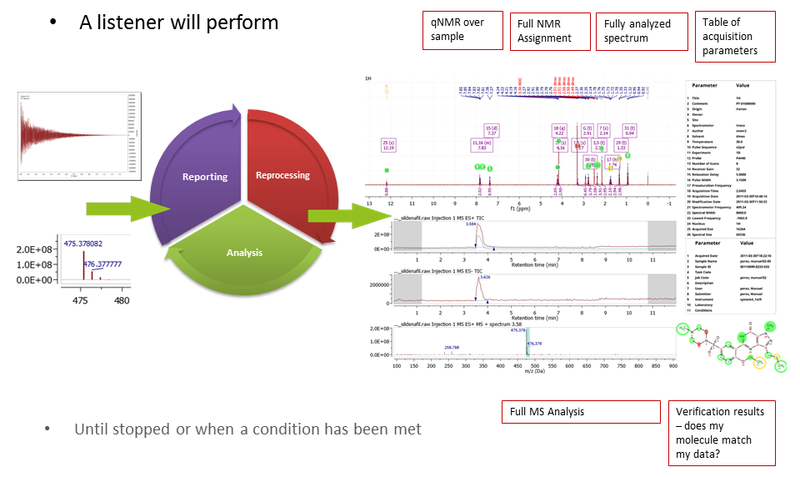 As shown in the figure below, your analytical data can follow an automated workflow including processing, analysis, assignments, verification and quantitation by using Mnova NMR, Mnova MS (if required) and Mnova Verify. Automated reporting can be added to your preferred Electronic Lab Notebook (or Mestrelab´s Mbook) and finally registered into your corporate DataBase, closing a compound pre-registration automated process Mestrelab´s Database plugin (Mnova DB) fits well in this registration step. It can be used as one roof to deposit all chemical data, with a flexible architecture. 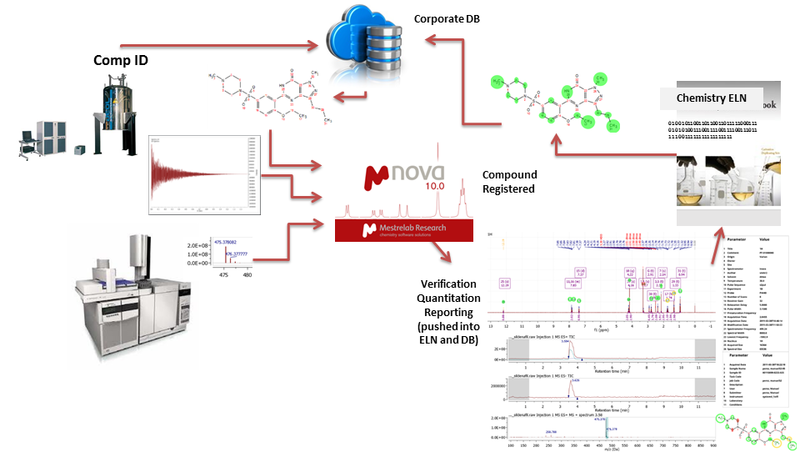 It also combines NMR/LC/GC/MS/UV-Vis/IR/Raman files and metadata and enables data mining.